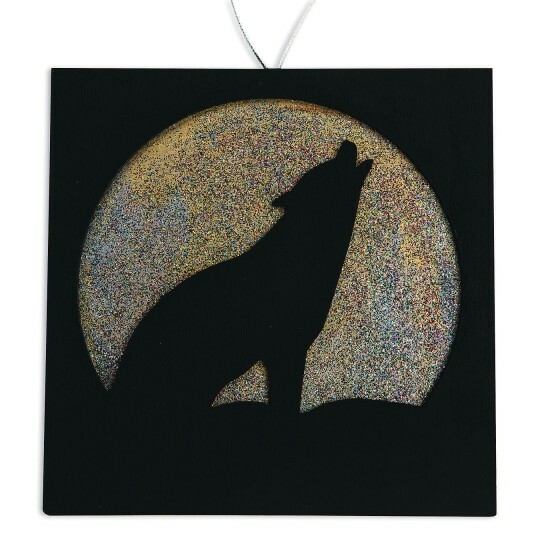 Have a howlingly good time creating a shimmering wolf silhouetted by the moon. 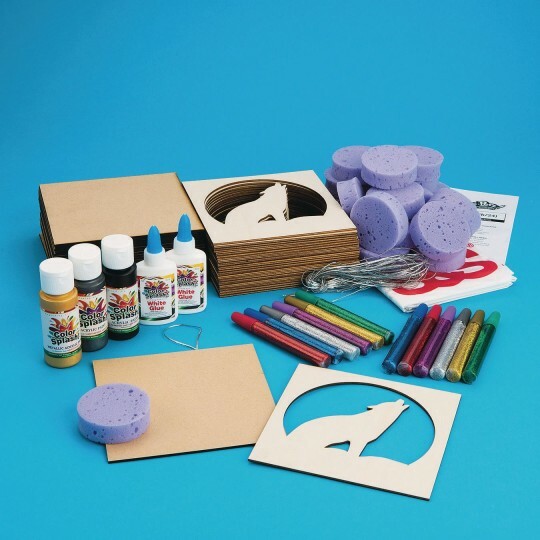 Includes laser cut wood design with MDF back panel, gold, silver and black acrylic paints, glue, glitter glue, sponges for painting, silver cord and instructions. Finished project measures 6" x 6" plus cord for hanging. Makes 24. Loved the project! They turned out great. Some of the kids followed the picture included with the directions while others came up with their own creations. The different color paints and glitter gave them lots of options. We also added some rhinestones. It was relaxing and a lot of fun to work on!Will definitely buy again! !